Please share food and refreshments with Phyllis's family and friends. There will be a visitation time at the church for one hour prior to the service. Please join Phyllis's family for a luncheon in the church hall following the service. All who knew Phyllis Losure-Hassur would agree that she was one of the sweetest people around. She lived an active life that was deeply rooted in faith, her life an example of what it means to be the hands and feet of the Lord she loved. Second only to her faith was the love that Phyllis had for her family, and she loved nothing more than being surrounded by her precious children, grandchildren, and great-grandchildren. As a mother, she made it seem effortless to balance having fun with being a disciplinarian when necessary. Although life will never be the same without Phyllis here, she leaves behind a timeless legacy that her loved ones will proudly carry on in her footsteps. When reflecting on the 1930s it is impossible to not remember things like Hoovervilles, the collapse of more than 5,000 banks, and Roosevelt’s New Deal, which were all byproducts of the Great Depression. 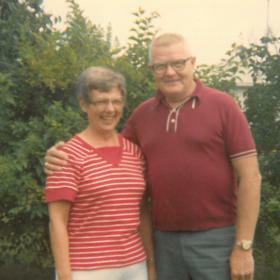 Despite the trials around them, Samuel and Aldine (Kipfer) Reimschisel were able to shift their focus to an exciting time in their lives as they celebrated the birth of the baby girl they named Phyllis Ann on January 1, 1932, in Bluffton, Indiana. 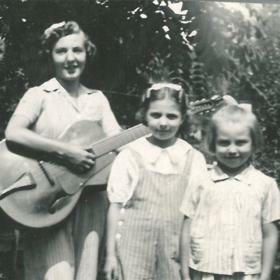 The middle of three Reimschisel girls, she was raised alongside her sisters, Betty and Rosemary. They were a close-knit family, although there was a bit of drama when Rosemary threw Phyllis’ favorite doll, a boy named Billy, down the steps and broke it. This was something that Phyllis never quite let Rosemary forget and Rosemary never stopped apologizing for! Phyllis experienced a rather strict upbringing by today’s standards, and church was a very important part of their lives. 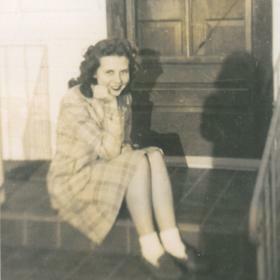 In many ways, Phyllis was a young girl of her generation. Her father worked at the New Paris Creamery, but he later retired from the county courthouse where he had been working as a janitor. 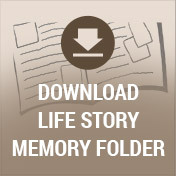 Phyllis’ mother was a busy homemaker and mother who was active in their church. Phyllis and her sisters regularly helped their mother serve doughnuts and rolls at the church breakfast a couple of times a year. During her elementary years, Phyllis and her family lived in Ft. Wayne where she attended local schools. When she was in high school, they moved to New Paris where they lived right across from the high school. On one occasion, Phyllis and some friends skipped school, telling their teacher they were “going home.” The group of kids did go to Phyllis’ house, and since she really did go home she was the only one to escape punishment! In her late teens, she got her first job at the creamery. While in high school, Phyllis met a young man named Gary Korenstra. Although he was older than she was it was a small school and he caught her eye. They fell in love and were married on January 8, 1948, in Goshen, Indiana, before Phyllis had completed high school. Later in life, Phyllis was so proud to earn her GED. Together Phyllis and Gary were blessed with the births of four children, Beth, Keith, Rebecca, and Amy. Their marriage later ended. 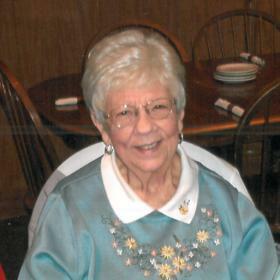 Phyllis was fully devoted to her children and has been described as a fun mom. She even knew how to make Saturday morning cleaning fun as the kids were responsible for cleaning the room they randomly drew out of a bowl each week. Phyllis loved playing games and almost always won - partially because she was that good and partially because she was that competitive. If she did manage to lose, it was never a pretty sight! Chinese checkers, card games, and dominoes were among their regular games. Phyllis once pulled an all-nighter when Keith was in fourth grade as she was busy writing his report on Indiana. Church was a big part of the family, and it actually started on Saturday night with baths, hair washings, and shoe polishing. Church was always a special time for the family, and who could forget the pink peppermints in Phyllis’ purse! Phyllis taught Sunday school, helped with Bible school, sang in the choir, and was a member of the Ladies Aid Society. When it came to discipline, she could be a wait ’til your dad gets home” kind of parent at times. But, she did have a paddle, which her kids colored black with their crayons! After Phyllis met Jim Losure through the support group, “Parents Without Partners,” they were married on October 6, 1973. She was deeply saddened with his death on August 24, 1990. Later on, Phyllis surprised her children when she married and brought home her third husband, Frank Hassur, on December 16, 1992. Frank died July 10, 1998. Throughout her life, Phyllis was one to keep busy. 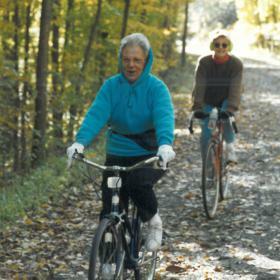 She worked as a caregiver in various nursing homes in both Indiana and Michigan. Phyllis sewed a lot over the years, and she later got into quilting. She also loved scrapbooking. In 1999, Phyllis moved to Lawton to be closer to her daughter, Amy, after becoming a widow and then suffering a life-changing ankle injury as a result of a car accident. The move actually happened while Phyllis was in the hospital, so she came “home” to Lawton. It was an adjustment at first, but finding her church home at Lawton EMC Church and establishing strong friendships made it so much easier. Phyllis was active at church including regularly quilting with her church friends and as member of the Piece-By-Piece Senior group of quilters. She folded bulletins there for years and was a member of the Senior Friends group and enjoyed activities with other seniors. There was nothing Phyllis treasured more than being with her family. She was thrilled to become a grandmother, and she took care of her grandchildren whenever she could. Phyllis made things for them all the time like animals or dolls, and there was always something special for them at Christmas. She frequently played games with them and enjoyed having a fresh, new group to win against! Phyllis also regularly read to her grandchildren. Great-grandchildren had more recently started arriving, and although she wasn’t able to see them as often, she loved them all to pieces and made sure they looked forward to a special card on most holidays. Phyllis was so thankful to have spent time with some of them just this past weekend. In everything she did, Phyllis Losure-Hassur brought such joy to others.  Her life was anchored in her faith, and her greatest joy was found in her family. She will be deeply missed, but Phyllis leaves behind a priceless collection of memories that her loved ones will forever hold near and dear to their hearts.